With a number of different suppliers and some of the biggest goor brands in the industry, we offer a wide variety of wood, metal and composite doors. Our selection features residential and commercial door options including many styles and energy efficient models and sizes of exterior doors for your entry way. Looking for a new deck or patio door? We have some amazing premium door options for other parts of the home as well. Whatever the size of your door opening, we can find you a beautiful and functional door, or doors, for your deck, patio or other entertainment space. 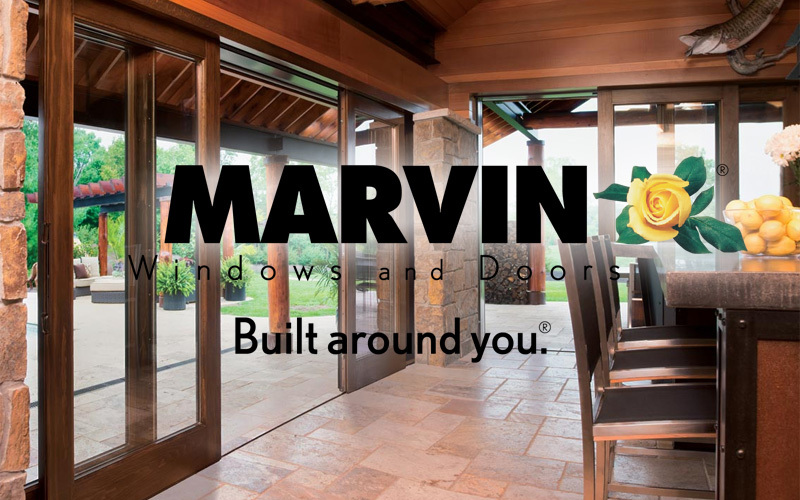 Marvin swinging, sliding and scenic deck and patio doors enhance the style and beauty of any room. Each door is made-to-order, one at a time, to your exact specifications. With many customization options, exclusive features, high-performance energy efficiency innovations, and an unmatched commitment to door quality, you’ll be able to find the perfect doors for your home project. 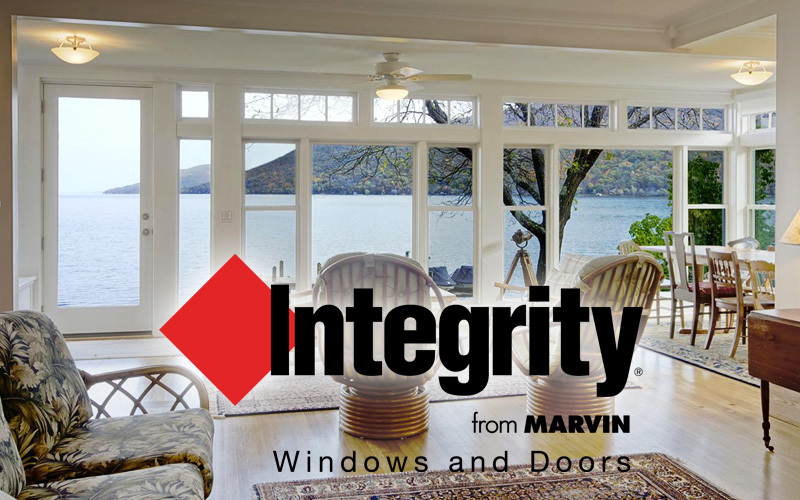 Integrity doors are built with Ultrex®, a highly durable, state-of-the-art, pultruded fiberglass that significantly outlasts and outperforms vinyl and vinyl/wood composite doors in virtually every way. This pioneering door technology benefits from over 20 years of proven performance on both swinging and sliding doors. Integrity doors are also built with multiple features and hardware options, to operate smoothly and stylishly inside and outside your home. 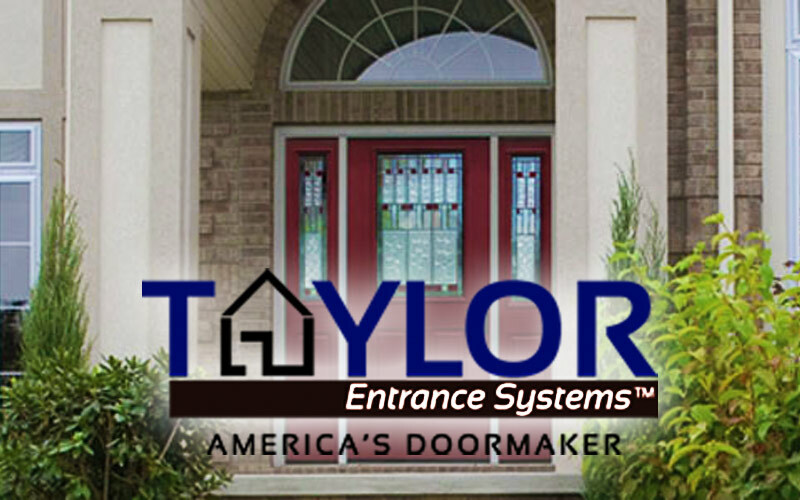 Taylor Entrance Systems designs their entry door systems with the homeowner in mind. Taylor focuses on beauty, quality and value in every entry door they create. Their personal commitment to quality means you and your family have a safe and reliable entry door developed and manufactured by professional, dedicated craftspeople – an entry door your family can depend on with pride and confidence. 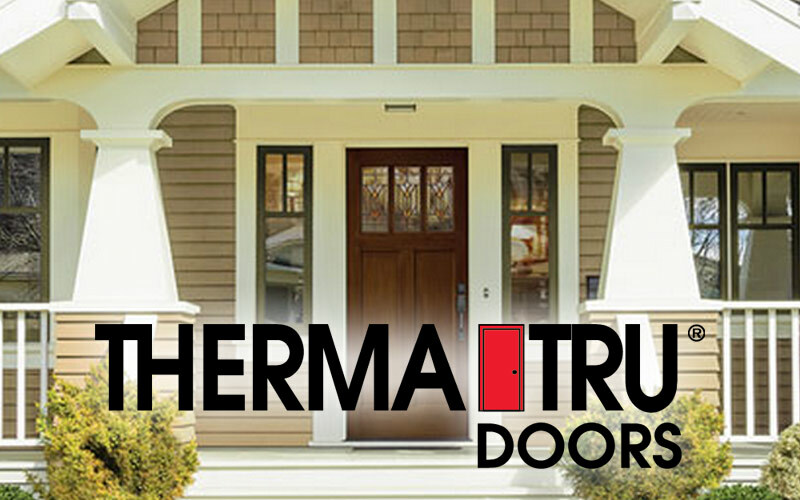 Therma-Tru is the industry leader in entryway doors that look as beautiful as wood and perform with the durability of steel and the brand of entry door systems that most building professionals prefer. Every line of entry doors they offer comes with a package of performance that’s unrivaled in the industry. With an entry door by Therma-Tru, not only will you see an increase in comfort, energy efficiency and performance, you’ll also see an increase in curb appeal.